Rent-to-own homes in Fort Lauderdale Florida! 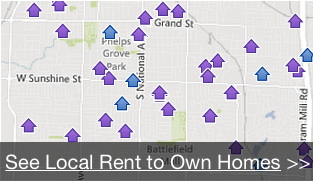 Choice: There are rent to own homes for every size family and every income level in Fort Lauderdale Florida. Therefore, you can choose the home that fits your needs without having to give anything up. Be sure to choose a home that fits your needs now as well as a few years down the road (since your intention is to stay in the home for a few years). Buyers: 954-247-4285 or by filling out the form to learn more.